As of the summer of 2002, Dan Haerle retired from full-time teaching. He was a faculty member in the Jazz Studies Division of the College of Music at the University of North Texas for 25 years (Regents Professor for the last 10 years). He taught Jazz Piano, Jazz Fundamentals, Advanced Jazz Improvisation, Jazz MIDI, Graduate Jazz Improvisation, Rhythm Section Master Class and he supervised the jazz chamber music program. He directed the Jazz Strings and a keyboard ensemble called The Zebras. He taught the courses in basic MIDI theory, sequencing and jazz notation. He has recorded many Jamey Aebersold playalongs, has several jazz text books published, is an active jazz clinician nationally and internationally and has had a great deal of performing experience. Includiong adjunct teaching, he taught at North Texas for 35 years. Dan was inducted into the International Association of Jazz Education "Hall of Fame" at the annual conference in Toronto on January 9, 2003. The IAJE Hall of Fame Award honors individuals whose musical contributions and dedication to jazz education over the past 25 years have created new directions and curricular innovations for jazz education worldwide. In 2007, Dan completed his modified service at UNT and became a member of the adjunct teaching faculty. 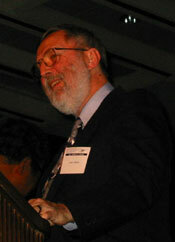 In the fall of 2007, he was named Professor Emeritus. In 2008, Dan joined the faculty of the Dallas School of Music where he taught for seven years. On January 6, 2012, the Jazz Education Network (JEN) awarded Dan (along with Jamey Aebersold, David Baker and Jerry Coker) the distinction of "LeJENd of Jazz Education" at its 3rd annual conference in Louisville, Kentucky. In April of 2014, Dan received the DJAM (Dallas Jazz Apreciation Month) award of Jazz Educator of the year. In October of 2015, Dan was awarded the 2015 Sammons Jazz Artist of the Year. When hired, Mr. Haerle was charged with developing a jazz chamber music (small group oriented) facet of the Jazz Studies Program. In 1977, he began with three small groups and now the program commonly has twenty or twenty-five groups each semester He established weekly meetings of all small group members which are called Jazz Forums. These were, at their inception, an innovative concept in higher education and are still unique among university jazz programs. Upon appointment, Mr. Haerle was given the task of developing a freshman course in jazz theory which would serve as a prerequisite for both jazz improvisation and jazz arranging courses. After two years as an experimental course, Jazz Fundamentals (MUJS 1360/1370) became required courses on the Jazz Studies degrees. Once the syllabus was defined, he wrote a text book especially for the course which is published as "The Jazz Language". This book is used by many high school and college jazz programs throughout the world. Over the course of five years, he developed an ear-training facet of the two courses involving study tapes and dictation quizzes. This led to the creation of MUJS 1361, Jazz Aural Fundamentals which was offered for the first time in Fall, 1994. In 1978, Mr. Haerle saw that it was important that the four semesters of undergraduate improvisation be organized in a manner which would move students through a series of musical problems and would result in the development of solid skills. In addition, it became obvious that the use of musical materials for the courses must conform to copyright laws and not be guilty of infringements. Therefore, he encouraged the collaboration of two colleagues, Rich Matteson and Jack Petersen, in designing syllabi and the creation of a text, "Jazz Tunes for Improvisation" which would serve all four semesters of the course. This text has become widely used in other universities as a course of instruction. In 1980, Mr. Haerle pioneered the concept of electronic keyboard ensembles in universities with the formation of The Zebras. This ensemble was created to offer opportunities to keyboard students which were not available in lab bands or small jazz groups. The members were challenged to learn to use synthesizers to reproduce orchestrations typically heard on many current recordings, to read intricate arrangements such as they might encounter in professional studio and show work and to learn other idioms of music not usually performed by lab bands. The excellence of The Zebras was indicated by invitations to perform at two national jazz conferences. Mr. Haerle developed a functional jazz piano course relevant to the idiom for all jazz students. After several years of development, the faculty agreed that Jazz Keyboard Fundamentals (MUJS 1371) should be included in the Jazz Studies degrees and it is now a required course for all majors. He developed the syllabus for the course, which is skill-oriented. Using a music notation program on the Macintosh computer, he created a text book for the course, “Jazz Piano Voicing Skills,” which is published and in use at many other universities. As a result of the departure of a colleague, he assumed responsibility for the teaching of the graduate improvisation course. In his opinion, graduate improvisation had not yet been developed into a course of substance which truly offered a further challenge to North Texas graduates. In teaching this course, he developed a syllabus which covers material that is appropriate for a graduate level course in the Jazz Studies Division. In 1988, he created a text, “The Jazz Sound,” specifically for this course since there were currently none which covered the concepts that he taught. In the fall of 1986, Mr. Haerle established a Jazz MIDI Performance Lab. MIDI, which stands for Musical Instrument Digital Interface, was an important new development for musicians with many possible applications for teachers, writers and performers. The two MIDI lab courses offered valuable experience in recording and printing music which students could apply throughout the remainder of their college careers and as professional musicians. He developed a set of tutorial materials for the class to acquaint them with the operation of both the hardware and software in use in the lab. In the spring of 1998, in conjunction with the 50th anniversary of the Jazz Studies degree program, Mr. Haerle developed an extensive web site for the Jazz Studies division of the College of Music. Over a period of about three months, some 100-plus HTML pages were created which gave information about faculty, degree programs, musical ensembles, syllabi for courses, alumni news, audition information, recordings and facilities. There were color pictures of faculty and performing groups displayed and a plan to include video clips and sound bites. Because so many students were coming to North Texas better prepared and often tested out of the first semester of Jazz Fundamentals, in 2000 as a sabbatical project, Dan created an on-line version of the course. This allowed for students to progress at their own speed and, if desired, they could finish the course in a few weeks. This was the first on-line course in the College of Music. 1977-2002. University of North Texas Denton, Texas - Professor of Music. Appointed Regents Professor in 1992. taught jazz theory, jazz piano, jazz improvisation, jazz MIDI and was the supervisor of jazz chamber music (small groups). Retired from full-time teaching. 1975-1977 Arizona State University Tempe, Arizona - Associate Professor of Music. Co-director of Jazz Studies degree program. Taught jazz piano, jazz improvisation, jazz history, jazz styles and directed jazz ensembles. 1971-1973 University of Miami Coral Gables, Florida - Assistant Professor of Music. Taught classical theory, jazz piano, jazz improvisation, jazz history, jazz arranging and directed jazz ensembles. 1968-1971 Monterey Peninsula College Monterey, California - Instructor of Music. Taught class piano, music theory, jazz history, jazz improvisation, and directed jazz ensembles. 1966-1968 Kansas State University Manhattan, Kansas - Assistant Professor of Music. Taught freshman and sophomore theory. Instrumental music director for elementary, junior high and high school. Born in Quincy, Illinois in 1937. Attended Madison elementary school and Quincy Junior High and High School. In 1953, moved to New York where he attended Flushing High School (junior year) and graduated from Hicksville High School in 1955. In 1957, he moved to Cedar Rapids, Iowa where he attended Coe College and graduated in 1961.